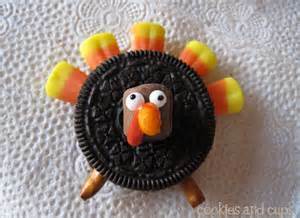 I am writing my Thanksgiving Day Thanks Post a bit early this year. Between family gatherings and Black Friday shopping and all-weekend football games, I never know when a moment of mental clarity will hit, nor when I might be able to share said clarity with you. I have a lot to be thankful for this year. You do, too. I don’t need to state the obvious — my past blogs reveal the miracles of survival I’ve been privy to the last year (couple of years, really). And I’m thankful for the usual — health, family, sanity (although there are those who wonder about that last one). But there is one thing in particular that I’m extra thankful for. Especially this time around. I’m thankful that with company coming Thanksgiving Day, I have to power clean my house. Now, before you chuckle and say people come for the food and friendship and not the eye candy, you are right. But I’ve always said you need to throw one big party a year so that you can really clean house. How many of you pull out the sofa and pick up dust bunnies and lost pencils and ancient Cherrios? How many of you move the super-fragile things you have precariously perched on shelves and speakers to dust? When was the last time you vacuumed the crumbs out of your sliverware drawer? Or organized your mail pile? This is not Hoarders over here. I do have an over-accumulation of furniture and boxes downstairs, some remnants of departed family members, others in a holding pattern until my son sells his house. We won’t talk about the Mud Room: that is my husband’s jungle, and I get lost just looking in there. Somewhere down there is a nice, cozy TV area, kinda a sports-theme corner with a small TV, sofas, chairs — you know. But I wouldn’t know what it’s like sitting down there because it’s temporarily storing a gym’s worth of exercise machines just waiting for bodies to arrive. My plans for this pre-Thanksgiving weekend are not so ambitious as to break up the chi that has so carefully been arranged down there. The bedrooms are fresh and clean, and a path will be made in case family members are too full and sleepy to make their way home Thanksgiving night. No, my thanks on this pre-T day are a lot more humble. I am going to give thanks by cleaning out my Tupperware cabinet. I then hope to move along to my bedroom closet. Not too much at one time — progress is often made one step (or cabinet) at a time. But my heartfelt thanks for getting one more thing off of my to-do list will be with me long after the turkey is turned into soup. Remember — giving thanks on Thanksgiving — on ANY day — is not only about thanking the powers-that-be for your family or your health or your connection with Spirit. The powers-that-be hear your thanks for that every day. And the Universe thanks you in return. What they don’t hear is your thanks for finding the shoe you’ve been looking for for two months. Or the flash drive that fell down into the sofa a long time ago. Sending scour-power your way, my friend! Have fun with your cleaning, even though that might be an oxymoron! Writing is my reward…that…and a bottle of Verde! And I feel bad…I read you all the time and forgot to put you on my “Wonderful Writers” page. But you’re there now!